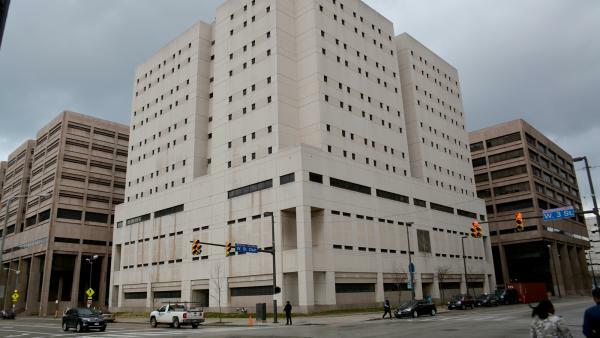 Cuyahoga County Council leaders say they’ll support efforts to improve conditions in the troubled county jail, including hiring more guards and expanding MetroHealth’s role in providing medical services. Council members Dan Brady and Pernel Jones, the president and vice president of council, outlined the efforts in a letter to the county prosecutor last week. Prosecutor Michael O’Malley is defending the county in a lawsuit filed in federal court on behalf of jail inmates. The council leaders said the body would support the administration in signing a new contract with MetroHealth. The hospital system would take over all medical services at the jail. They also pledged to support a group of judges and other officials in reevaluating the local bail system in the county. Several jail nurses and a union representative attended last week’s council meeting to express concerns about their jobs under a new contract with Metro. Demonstrators have been pushing the county to improve healthcare and other services at the jail. They protested outside of the council meeting last week and called on council members to act. Read the letter below. Mobile users can view here. Former Cuyahoga County Jail inmates and their advocates described their experiences with the facility at a meeting in Cleveland’s Kinsman neighborhood Thursday night. 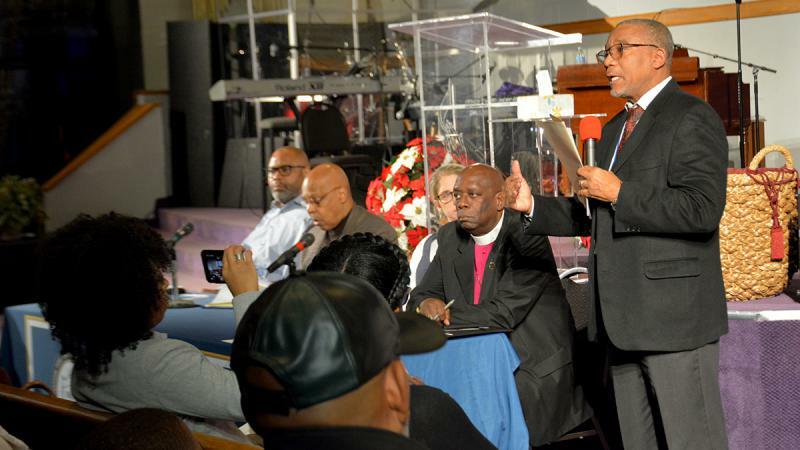 The city’s NAACP chapter, civil rights attorneys and others organized the meeting at Mt. Sinai Baptist Church in response to a U.S. Marshals Service report from November, which found inhumane jail conditions that violated inmates’ constitutional rights.